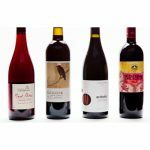 Unique Gourmet Gifts of the Month – FREE SHIPPING! Such a Great Idea! These Are Really Great Gifts! Words by Bobbie Thomas from the Today Show. We offer over 30 unique gift clubs. Personalized card each month and Gift Boxed to create the ultimate gift! 100% GUARANTEE on all our gifts! What is a Gift Club? A gift club is something you can sign up for and have a gift delivered every month to someone. They are usually random gifts from a pre-set category such as soaps, shoes or books. Other Gift of the Month Clubs feature beers of the world, coffees and various gourmet foods. Why would one want to sign up for a Gift Club? Gift club memberships can be a very special gift; one that lasts much longer than a traditional, one-time present. It’s a gift that keeps on giving throughout the whole year. Your recipient will appreciate a new gift each month (or week, depending on the arrangement) for a specified period of time. There are many categories: cheese, for instance, or hot-sauce. 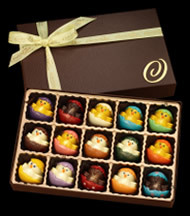 Chocolate-lovers will fall in love with the assortment of fine chocolates. Get someone you love a monthly delivery of gourmet coffee for Christmas this year. The best part of a gift club is it only requires one choice, then every month a great Christmas gift is delivered to the recipient with no further effort on your part. How do I pay for a Gift of the Month Club? You can chose to pay ahead of time. This means you’ll pay one lump fee at the time of registration, which covers the cost of every gift given in a specified amount of time. Or, you can set up a recharging fee, where you pay for each gift as it is delivered to your recipient. In many cases this is set up as a debit withdrawal, or automated charge taken directly from your bank account or credit card. Remember, every Gift Club is different. Some deliver their products monthly, weekly, or quarterly. In some cases, you can sign up for part of a year, an entire year, or even several years in a row. Whether you’re buying for a connoisseur of pasta or a family member with a green thumb, you’ll find a category that will fit. Shopping for a movie lover? Get the person a year’s supply of award-winning movies, delivered to his door monthly. Christmas is the perfect time to send someone a gift they won’t forget right away. How can I personalize my Gift of the Month Club? You want your gift to be personal every month it arrives. You don’t want the same old message repeated time and time again, boring your recipient and dulling the gift. Request that a different note be sent with each present. You will likely have to create these ahead of time, so you need to do some planning on what they’ll say. If possible, specify wrapping for your gifts. In some cases, you can chose color schemes and general wrap designs. Of course, the whole idea of a Gift of the Month club is, you don’t have to deal with these little decisions throughout the year. However, it’s nice to feel involved, even if just initially. Feel free to share your recipient’s likes and dislikes with your Gift of the Month Club representative. Don’t overwhelm them with a long list, but do highlight a favorite flavor or scent. If they are allergic to a particular ingredient, be sure to make it known. Gifts will probably be assigned randomly in the months to come, but you can give some preferences for guidance. The best way to personalize this type of Christmas gift is to choose your gift category wisely. Be sure it is something your recipient is interested in and will enjoy. After all, they’re about to stock up on whatever it is you’re giving them, and you want it to go to good use! 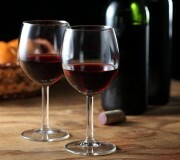 Even the occasional drinker will enjoy receiving a monthly wine, scotch or Bourbon. Or you can mix it up to receive a different type of liquor each month. You can single-handedly stock up a friend’s bar over the course of your on-going Christmas gift. Or you can fuel the conversation at many a dinner party by providing wine. Anyone, and we mean anyone, who enjoys wine will enjoy a Wine of the Month Club. You can choose between red or white, or a combination of both. You can also specify the quality of your wine, which ultimately determines your price. 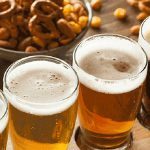 For the beer lover, there are several Beer of the Month Clubs. Themes include Beers of the World, Award Winning Brews, variety packs and more. In most cases, the gift will include 6 to 12 beers per month. In rare cases, you can find Keg of the Month clubs, but reserve this for serious beer drinkers. Tea and Coffee of the Month clubs are very popular as well, and are a great non-alcoholic option. Products come from all over the world and with many different flavors. In some cases, a mug or snack will accompany the drink, but not always. Check the fine print for details. Pay attention to the presentation of these gifts. Does the membership include monthly wrapping and/or decorations? Many companies take pride in their gift presentation and will tell you so. It is also a good idea to look for images of delivered gifts on the company website. Gift of the Month clubs are the perfect gift idea this season!